Similar to any other drug, this one also shows some side effects if taken regularly. 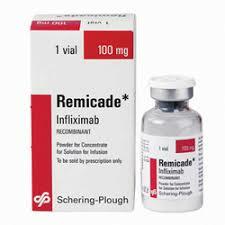 Some users even discontinue the use of infliximab because of its side effects. Apart from common side effects like headache and rashes, some infusion-related problems are also observed in some cases. Dyspnea and flushing are also seen in most of the patients. Along with these common side effects, some important things one must know about infliximab usage are listed below. According to researchers, this type of side effects was shown in more than 36% of patients. Sinusitis, bronchitis and other respiratory infections can also occur because of prolonged usage of infliximab. Even in case of psoriasis patients also, some users reported skin ulceration and bacterial infections. In some cases, this medicine complicated the matter instead of treating it. Though researchers are yet to come to conclusion, in some clinical trials patients died because of miliary tuberculosis. If infliximab was used in Crohn’s patients the situation becomes worse. The body itself develops anti-dsDNA antibodies and in most of the cases, this development stopped once the treatment is discontinued. Use of infliximab can become fatal also. If histoplasmosis was observed in the initial stages, it is better to stop using this medicine. Usually this side effect can be noticed within six months if the medicine not suits you. Lower respiratory tract infections are observed in significant percentage and interstitial lung disease is also observed in some cases. Hypersensitivity is also observed in psoriasis patients in more than 1% of cases. Though the percentage seems to be negligible, the number will be very high if taken it in absolute numbers. Doctors prefer the term serum sickness to notify this. Rashes, fever etc. were observed in psoriasis patients. In most of the cases, these symptoms were observed in less than 2 days after using the medicine infliximab. Neurological side effects are also observed while using these medicines but they are not severe. In most of the cases, patients suffering from these disorders return to normal once they had stopped the usage. Vasculitis skin rashes were also observed in most of the cases after giving infliximab infusions. Skin lesions and acne were observed in some of the cases. Abdominal pain and vomiting were also reported in some cases. Intestinal obstruction because of excessive use of infliximab was reported in rare cases. Patients who are treated with higher doses of infliximab are more prone to heart diseases when compared to normal. In most of the cases, patients develop heart related diseases after administering infliximab medicine therapy for six months. More severe and fatal conditions like acute liver failure, cellulitis, immunity levels dropping etc. were also observed. Cytomegalovirus infection and loss of water levels in the body occurs in the rarest of the rare occasions. Loss of appetite or feeling full even after eating very less quantity. Weak sensations in arms and legs. Infliximab is one of the approved medicines for psoriasis. Doctors from several parts of the world still prefer this medicine in the treatment of Psoriasis. By binding the TNF-α cytokine, infliximab controls the auto immune reactions and it is helpful in treating psoriasis. To know more about this, first we have to know the reasons for the occurrence of psoriasis. Also, there is an urgent need to know some facts about this disease as this is spreading rapidly in the developed countries even though it is not contagious. Psoriasis is a special skin condition where the growth of skin cells increases rapidly and forms epidermal layer of skin. In case of normal persons, skin cells were replaced with new ones automatically after one month (28-30days in most of the cases). However in case of psoriasis patients, the number of days drops to 5 and in some cases, new skin cells will appear in three days period also. According to researchers, main reason for occurrence of psoriasis is premature keratinocytes maturation. This triggers the T-cells to attack healthy skin cells which in turn develop new skin cells quickly to compensate the loss. By binding TNF-α cytokine, the whole process can’t get reversed but the inflammation sensations are surely reduced. Apart from these medicines one need to follow some life style changes for quick and effective results. Over exposure to sun leads to skin burns which in turn increases psoriasis. Though UVB Radiation is helpful in treating psoriasis, excessive exposure is harmful and it is better to wear sunglass, hat etc. while going out in day light. Applying sun screen lotion with minimum SPF15 is also helpful. Some users reported that by stopping high glucose foods, rashes and itching sensation increased. So it is better to follow the guidelines of doctor or nutritionist instead of eating foods as per your preference. Try to cover the skin affected areas as much as possible. The social embarrassment increases once your colleagues or office staff came to know that you are suffering from psoriasis. Weather changes play a crucial role in increasing/decreasing psoriasis. Change your dressing style, food habits and exercise patterns based on weather conditions and this will surely reduce the adverse effects of psoriasis. Psoriasis has strong hereditary connection. If your parents are suffering from psoriasis, there are more chances that you may also suffer from this disease. So take precautions so that you won’t suffer from this irritating disease. Psoriasis in most of the cases leads to social isolation and depression. If you are suffering from psoriasis, to avoid these problems by joining in any recreational club and be in touch with other psoriasis patients. You can find several dedicated psoriasis forums online. If you are suffering from mild psoriasis, there is no need to worry. If you are suffering from moderate or severe psoriasis, opt for professional treatment methods and if your budget permits and doctor recommends, it is better to go for biologic drugs.